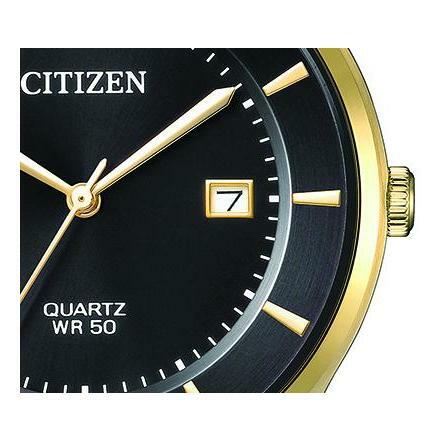 ABUNDANT CLASS AND SOPHISTICATION ARE THE HALLMARKS OF THIS BEAUTIFUL QUARTZ WATCH. 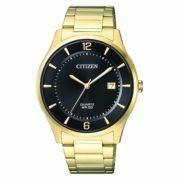 The simplicity of the bold black dial with date display set against the subtle gold tones of the bezel, case and band make a refined statement whether at work or relaxing. With stainless steel construction, WR50 and 4 year battery life, it is as dependable as it is stylish. 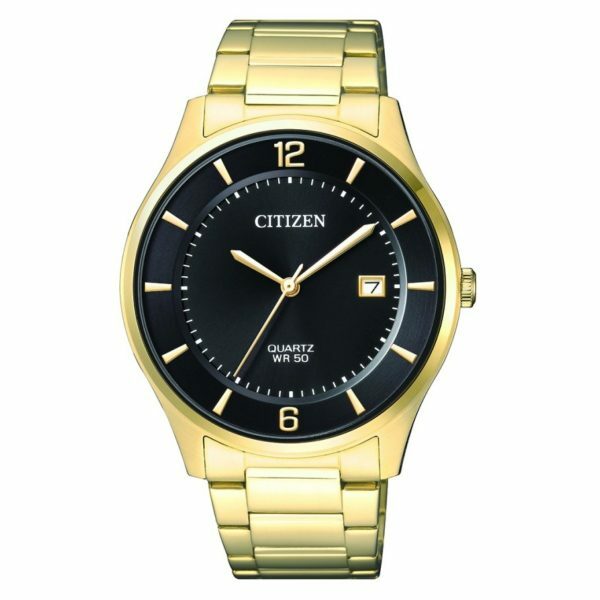 Available in a matching pair for males and females, this stunning watch will stand the test of time.